Building and keeping your resume current can be a task all by itself. Luckily, there are some great resume builder apps for Android that make staying on top of your resume easier than ever. From a great selection of templates to exporting your resume to the web, it is a real hassle for anyone. That’s where we come in, to search for the best and immediately share it with you. 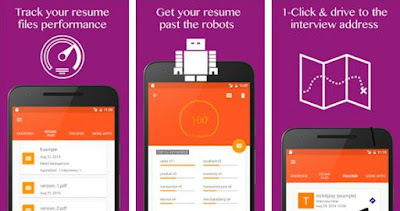 Today we have a perfect solution for finding your dream job, an Android app called CV Doctor. It’s created by tech X play and compatible with all devices. The CV Doctor app has multiple useful features which are presented with great design. All you have to do is download it and create your resume or multiple versions of it. Most of the world’s companies who are looking for new employers use applicant tracking system to filter candidates by their curriculum vitae and then scan the resumes for keywords. This app can help you outsmart the robots by giving you the power to observe and change you keywords according to the job description. Once you’ve prepared your resumes, you can easily send emails to companies you like and then keep track of your resume files performance. They can reach you and contact you and you will be able to store the company’s details (location, name, etc.) within the app. Amazing right? Within a few click you may get your dream job, only if you download CV Doctor for free from Google Play!